Literary Lindsey: It's Monday and I'm ready for the new week! It's Monday and I'm ready for the new week! Hey friends. How are you doing? We had a really good weekend. My husband had some days off, so he turned off the cell phone and computer and it was so nice. We had a lazy afternoon after church on Sunday and read (me and David), watched football (hubby and David) and napped (everyone except David!). I wasn't sure I was going to finish We Are Water this week, but I did it. Now onto the giant stack of library books, all of which have come in during the past week! Oooh I like Diane Setterfield. How did you like Bellman and Black? I do too! 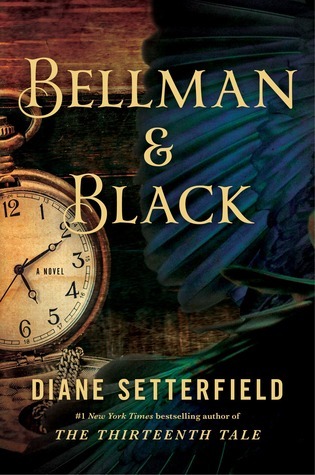 Bellman and Black was good, although I liked The Thirteenth Tale better! Thanks so much Shellyrae! 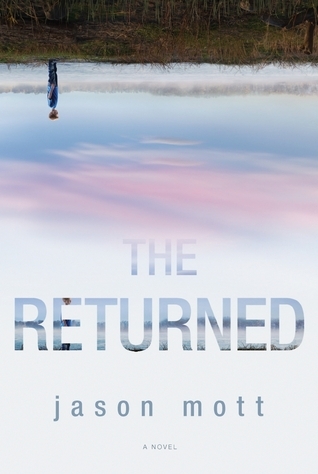 I am looking forward to reading The Returned. Now that's a perfect weekend! Hope you will stop by my It's Monday! And don't forget to enter my giveaway for the Literary Blog Hop! I am making my way through the Literary Blog Hop giveaways. I should try to participate next time! Sounds like a great weekend! What did you think of We Are Water? I was thinking about adding it to my tbr but I'm on the fence. Lamb's previous books have been hit or miss for me. I liked it. When I'm reading his work, I feel like it's difficult to read because it really packs an emotional punch. I'm always glad I stuck it out, though. The Wally Lamb book caught my eye! looking forward to your thoughts on this one. I really enjoy his novels. We Are Water is one of his shorter ones - it has fewer than 600 pages! Bellman and Black sounds great. Enjoy reading this week! Check out what I'm reading this week. It seemed to be the popular choice for Halloween this year! I hope you have a great reading week too. Thanks. I hope you read great books this week! Sounds like a good way to spend a weekend! The Returned looks interesting, it looks like a lot of people are reading that and it sounds good. Have a great week! It is certainly an interesting premise. We will have to see if it lives up to it! I'm glad you had a relaxed weekend! I am curious to find out what you think of The Returned. Relaxed weekends are the best, aren't they? The Returned is good, but very eerie. I've been curious about Bellman & Black. I hope to get to is some day. Come see my week here. Happy reading! Have you read her other novel The Thirteenth Tale? We Are Water was good. Are you a Wally Lamb fan?? The Returned is good, but eerie. I am going to start Bellman & Black today. A lot of mixed reviews. I'm glad to hear it. I should have my B and B review up on Thursday. I will be interested to see what you think of it! I want to see what you have to say about Bellman & Black. It is ok so far. I am only on page 100. Oh, The Returned! 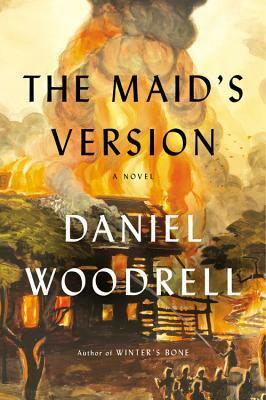 Another book I can't wait to read. 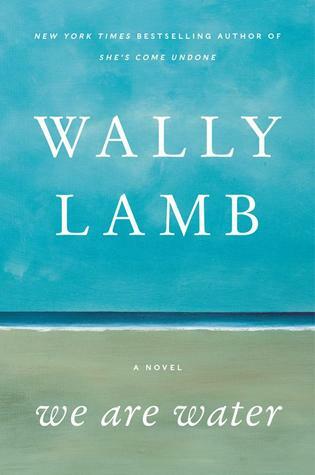 Looking forward to hearing what you thought of Wally Lamb's latest, too. Enjoy your books this book! Book by Book is now on Facebook! I really like Wally Lamb. His novels are not quick reads though - you really have to commit to reading them! Wednesdays with David: Weird But True! It's Monday and I need to get reading! It's Monday and this week flew by! It's Monday and November Is Here!